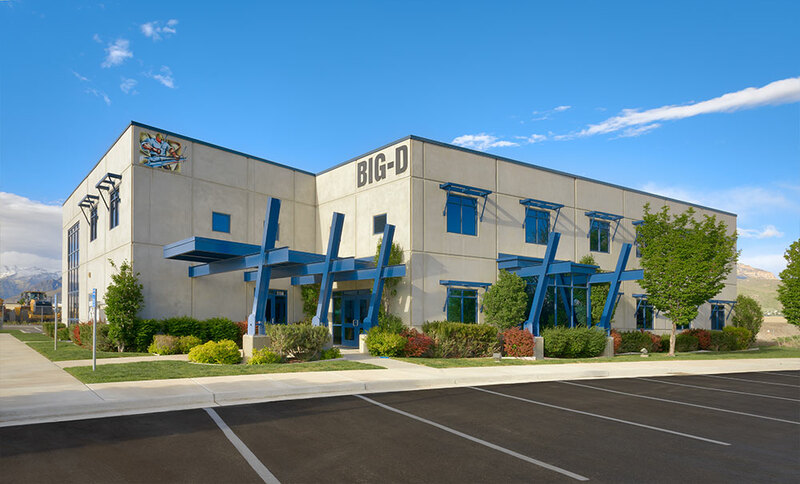 To highlight their proficiency in commercial construction, Big-D hired Curtis Miner Architecture to design their new office building in Utah County utilizing creative and innovative construction methods and materials. Insulated concrete tilt-up sandwich panels were used in the office area to meet energy code requirements while allowing interior exposed concrete wall surfaces. Standard structural steel beams were used in a creative way in the design of the entryway awning and window shades. This building has become an icon for Big-D Construction.